Oceanfront Top Level Balcony Two Queen Beds, Beautiful oceanview from large picture window with a door stepping out to the top floor balcony with chairs and outside table,overlooking the ocean. Stairs required to access room. 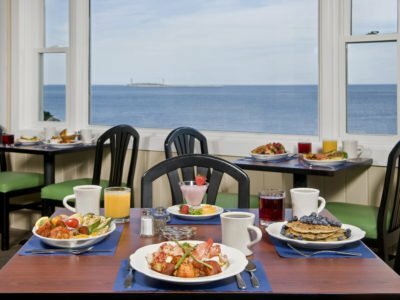 Less than a mile from Good Harbor Beach, on Gloucester’s rocky shore, every one of our pristine hotel rooms offers a spectacular ocean view with a terrace or balcony sitting area, free WiFi and plenty of amenities. Wake to breathtaking sunrises. 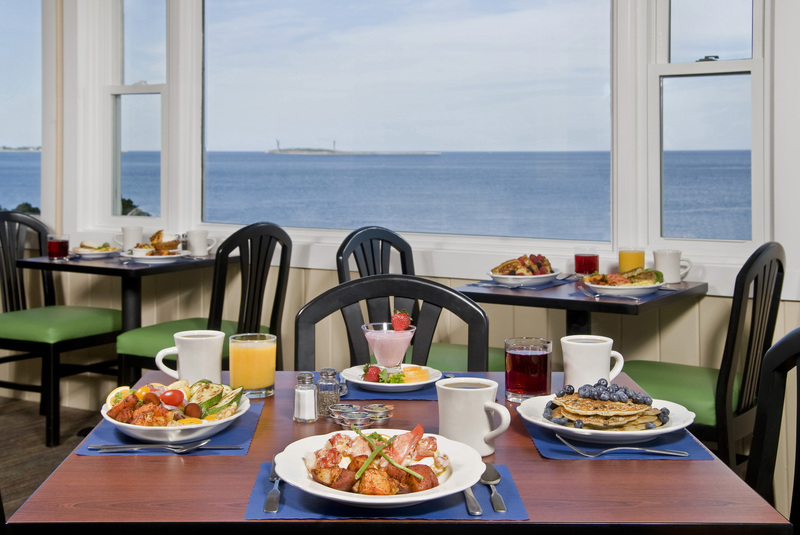 Enjoy a delicious breakfast in our breakfast cafe and relax to the sounds of the waves.